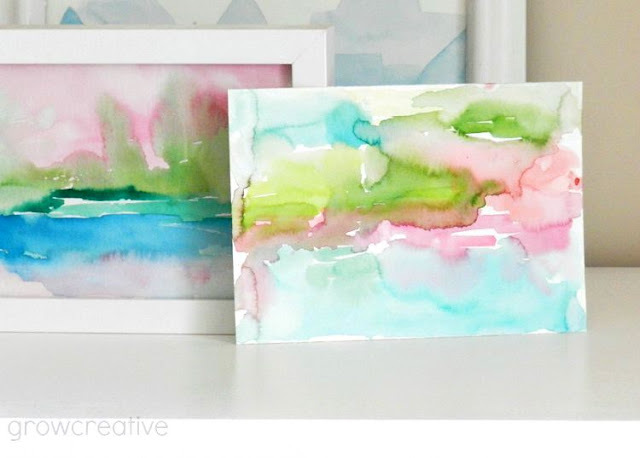 Painting abstracts can be addicting. 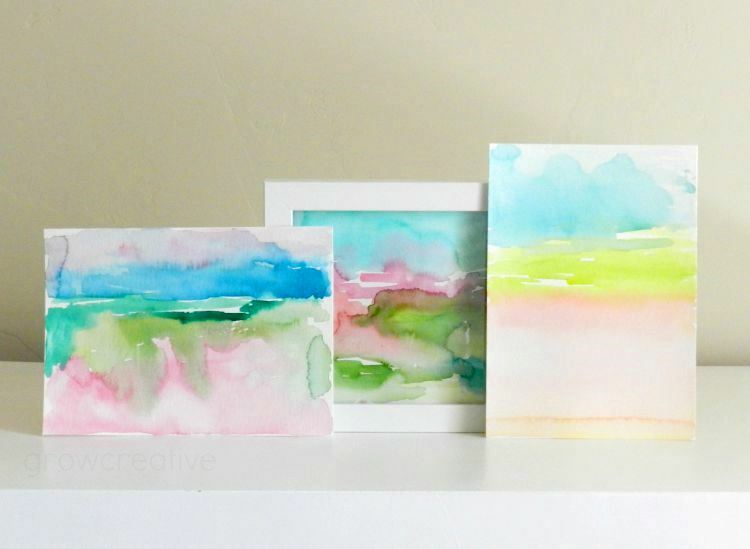 These are like my other abstract watercolors- just in miniature. I can't get enough of watching colors wash into each other and mix on the paper to create something beautiful and unpredictable. The success of my paintings usually depends on the mood I'm in- that's why I need music so badly! It helps me get in the zone. This time I had some Sam Smith playing and it was perfect. What's your favorite painting music? These are beautiful. I love the small size. 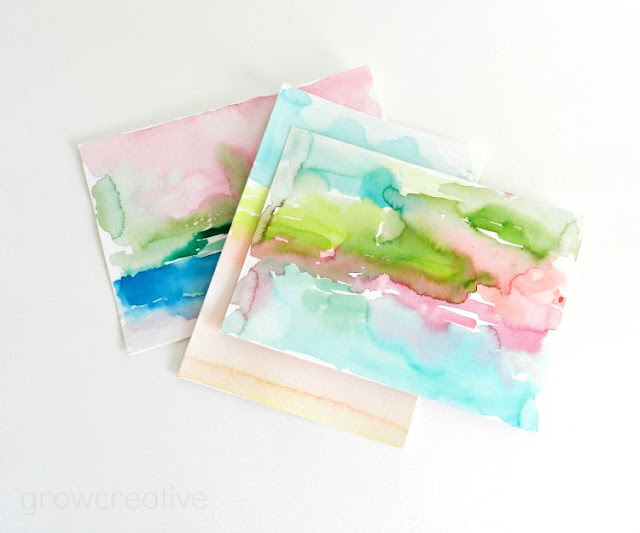 In art class last week we played with wet on wet using acrylic and I loved the effect. I really really need to start painting with watercolour. 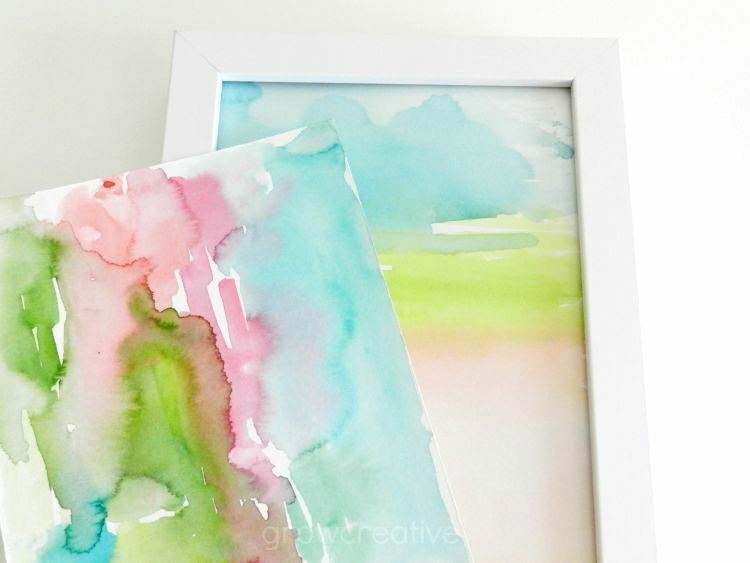 Watered down acrylics are so similar to watercolors. 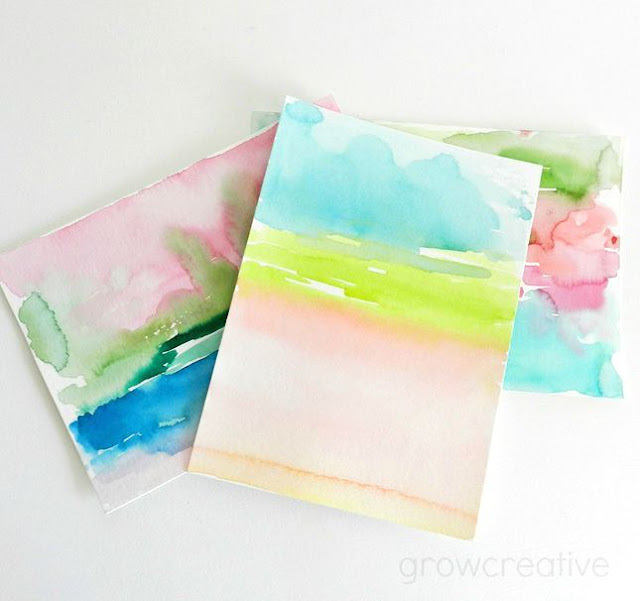 You probably know more about watercolors than you realize! These would be perfect for handmade cards.